Future Joy have seen the sort of first year that a live electronic music band only dream of. 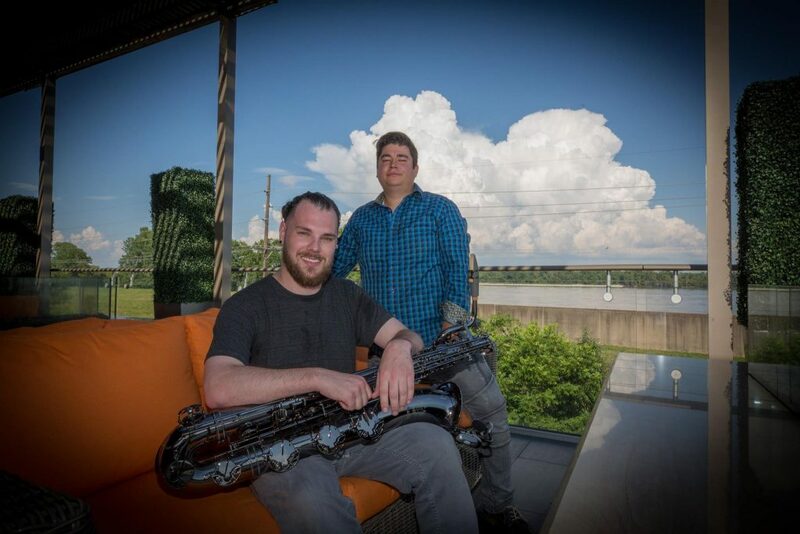 Now that the Denver duo have touched thousands with their “saxually active” brand of dance music, it’s high time they hit the road. With that in mind, Future Joy are excited to announce their upcoming tour, the Stop! Let’s Go! Tour 20GR18 (pronounced “twenty-great-teen”). Ten performances across nine states in just thirteen days of December. They’re also bringing along their good friend and collaborator, MIDIcinal as support for the first six shows. Just two weeks away and the whole team is ready to hit the road! It hasn’t started yet, but the Future Joy boys are already thinking forward. 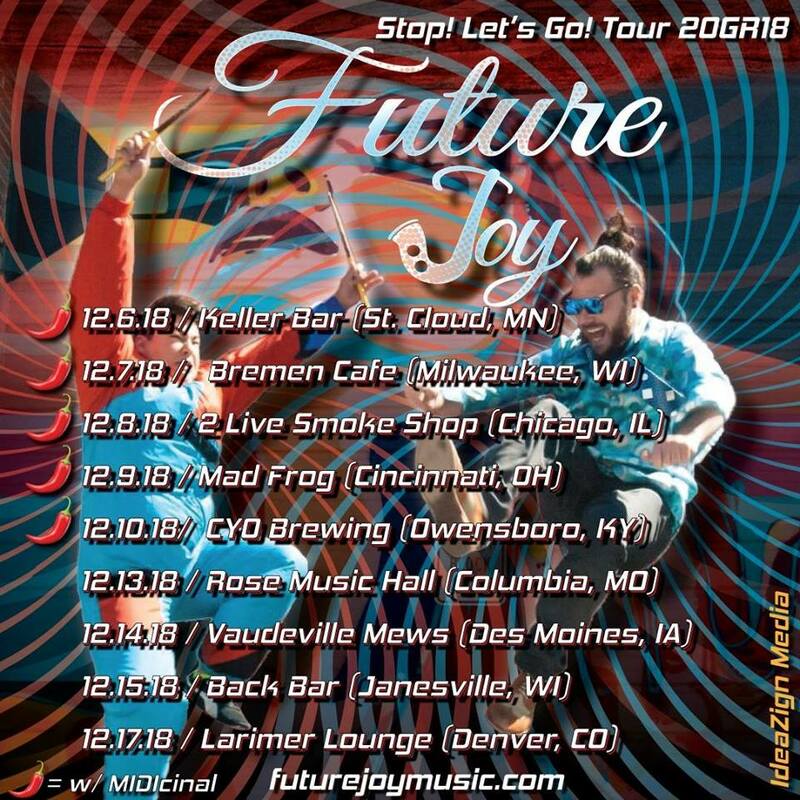 The tour comes to a close and climax in Future Joy’s hometown of Denver, Colorado at Larimer Lounge December 17, 20GR18. 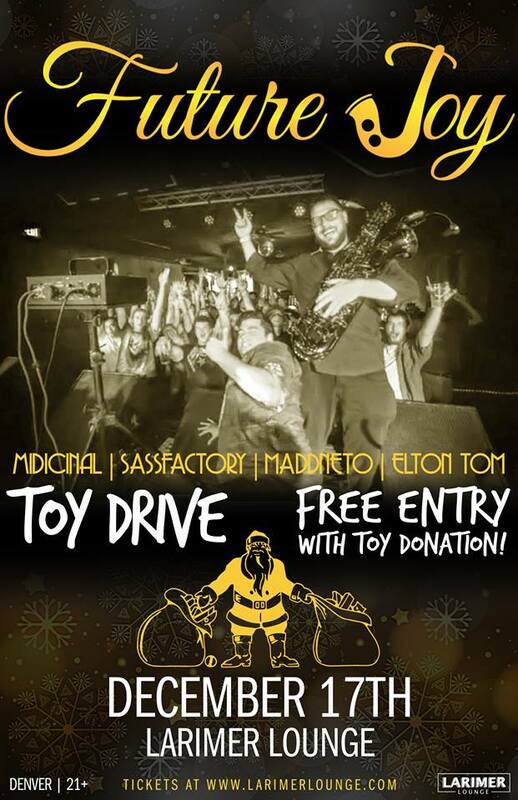 The show features Potent Productions’ own MIDIcinal as direct support, as well as Sassfactory, MADDNETO, and Elton Tom. 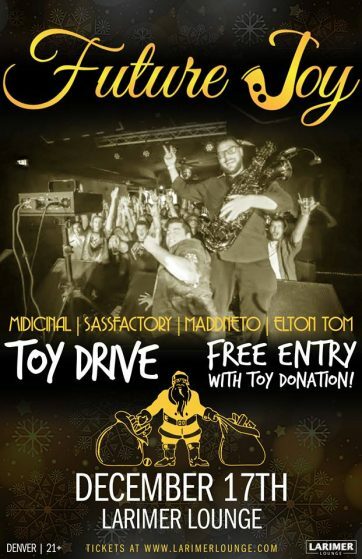 The show is a benefit for Toys for Tots so bring a new, unopened toy and get free entry!